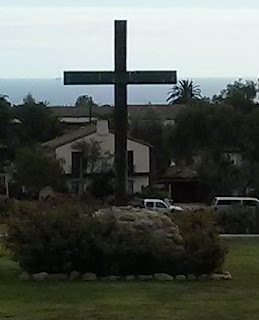 I find wisdom in the reading of the passage by Fred Craddock and Eugene Boring, who point out that “Luke is not here addressing the theoretical issue of the eternal destiny of people in distant centuries and countries who have not heard the Christian message.” In context, he is expressing his belief that the God of Israel has acted in Jesus, who was crucified, but was raised by God, and it is in Jesus that the power of God is being revealed in the healing of this man who had been disabled, but who is now running around proclaiming his healing. Craddock and Boring also remind us that Luke’s theology of salvation is not reflected either in the view that “the Christian way is only one of ‘many roads to God,’” nor are we being “encouraged to believe that only confessing Christians are finally accepted by God.” As we ponder this passage, we would be wise to heed our commentators and affirm that “on the basis of this text, Christians ought to say neither than only Christians shall ultimately be saved nor that people can be saved through a variety of saviors. Christians should confess their faith that the God revealed in Christ is the only Savior, without claiming that only those who respond in faith will be saved” [The People’s New Testament Commentary, p. 378]. As we continue the Easter journey, may we ponder together the power of Jesus name, by which God brings healing and salvation. For Peter, the risen Jesus was the only means by which the God of Israel acted to bring healing, wholeness, and salvation. In him God’s power was let loose.Peter invites us to embrace the Risen One, as we walk in God's wholeness. 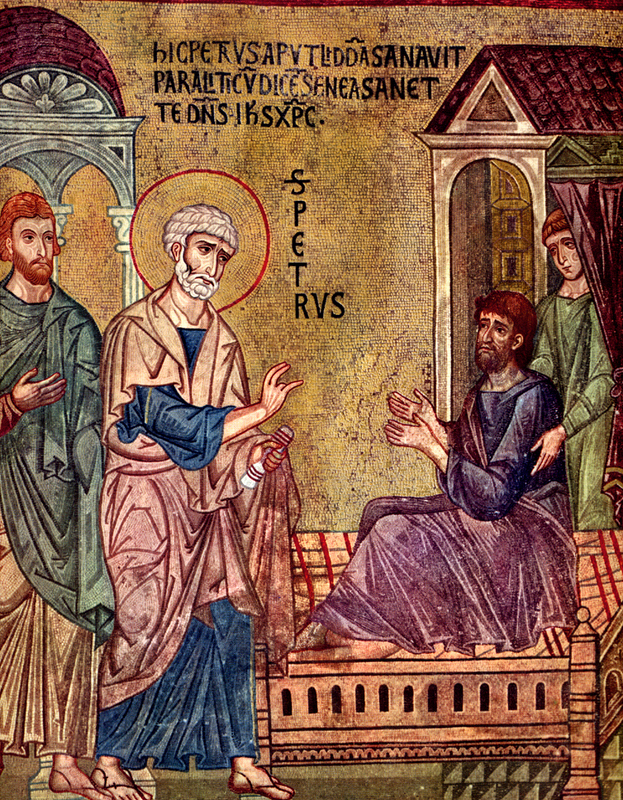 Picture attribution: Peter Heals the Paralytic Aeneas, from Art in the Christian Tradition, a project of the Vanderbilt Divinity Library, Nashville, TN. http://diglib.library.vanderbilt.edu/act-imagelink.pl?RC=46204 [retrieved April 14, 2018].